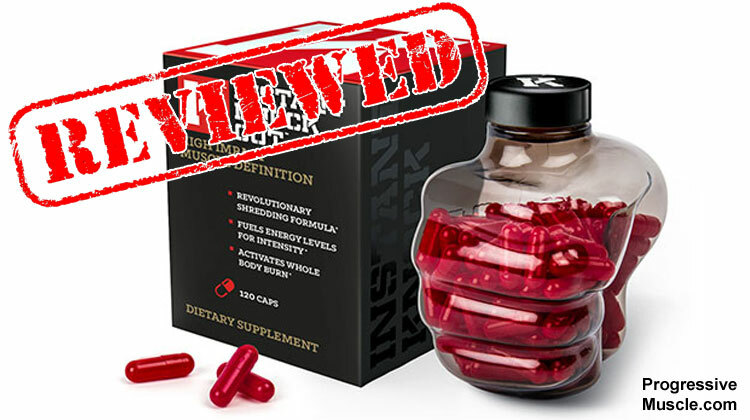 Instant Knockout Review - Why Is It The Best Fat Burner? Designed for Pro boxers and MMA fighters, Instant Knockout is an all-natural fat burner from Roar Ambition. These are all very bold claims, but the proof is in the science and ultimately in the results. Excellent ingredients all clinically dosed for maximum effectiveness. 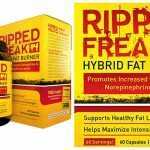 This is by far one of the best fat burning formulas we have ever come across. Using a non-proprietary blend, Instant Knockout shows us every ingredient and quantity on the label. That means we can really see how effective the formula is overall. 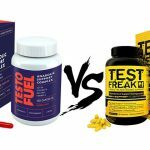 Many supplement companies using proprietary blends, hiding how much of each nutrient it contains. 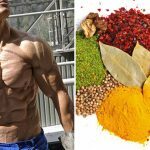 This potentially makes the formula ineffective or at worst harmful to your body. But there are no worries with Instant Knockout. Every one of the core ingredients has been clinically proven to promote fat loss with numerous studies backing up their effectiveness. First there are the natural thermogenics Green Tea, Green Coffee Bean and Cayenne Pepper which help you burn more calories even at rest. Second you will have plenty of energy and a boosted metabolism because it contains a good quantity of the stimulant caffeine. Thirdly to round things off nicely there is a very effective appetite suppressant called Glucomannan which is a big plus for you on a calorie restrictive diet. Overall we were overwhelmed with how good the formula and ingredients are here. We feel this is definitely the best choice for those who want to burn fat safely and effectively with natural ingredients. One of the best natural fat burners on the market right now. This herb is both safe and effective with lots of health benefits. Numerous clinical studies have shown its powerful ability to promote fat loss. 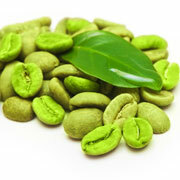 This is due to a specific antioxidant contained in the green tea called catechins. Once absorbed by your body, these catechins will promote the fat burning hormone norepinephrine. The more norepinephrine you have in your system the more fat you will burn overall. The great news because this natural process will require no extra effort from you. 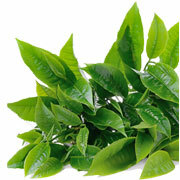 Green tea also contains L-Theanine which helps with your focus and caffeine which helps with your energy levels. 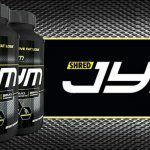 This is another excellent thermogenic fat burning ingredient and a great addition here. Why does this nutrient work so well for fat loss? Well the reason is because it is packed with Chlorogenic Acid. Scientific studies show that once absorbed into your body the chlorgenic acid lowers the amount of glucose in your liver. Normally your body will use this glucose for energy, but with less of it in your system it will be forced to use something else. Stored body fat is now burned instead to compensate. This again means you can burn more calories and fat with no conscious effort on your part. Another highly effective thermogenic nutrient that makes a great addition to Instant Knockout. 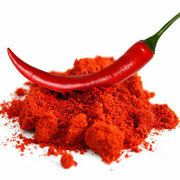 Cayenne Pepper is a red hot chili pepper that contains something called Capsaicin. It is this component that gives chilies their heat. It works by raising your body’s core temperature and boosting the natural regulation of body temperature. Meaning it causes the body’s cool down process to handle the extra heat. In doing so you end up burning more energy and calories than you would normally do even while resting. Obviously this is great for fast fat loss. 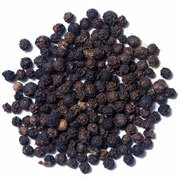 Some studies have also shown that it can have a mild effect on appetite suppression as well. One of the best natural nutrients you can find for appetite suppression. 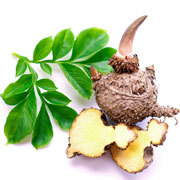 Found in the root of the konjac plant it is used in traditional Asian cooking and is known for its fibrous properties. Once you consume Glucomannan it dramatically swells in your stomach making you feel fuller than you actually are. The obvious benefit here is that it helps reduce your appetite throughout the day meaning you consume less calories. It also helps avoids those dreaded hunger pangs that come with a calorie restrictive diet. Considered by many to be the best natural stimulant available. Countless scientific studies have shown that it boosts energy levels, raises the body’s metabolism and can even increase power output. 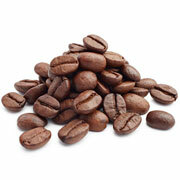 You will benefit greatly because caffeine will help increase your productivity and intensity in the gym. This means you can burn more calories in a day while still being able to workout properly on a low calorie diet. In addition it also good for burning extra calories because it speeds up your metabolism. Caffeine is another great fat burning ingredient that will help you shed the fat more quickly and easily. Whilst there is nothing special about this nutrient by itself, it has been shown to enhance nutrient absorption. This is done by increasing the bioavailability of nutrients allowing you to absorb more. 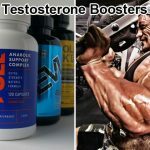 This essentially means that the instant knockout formula will be more effective and will activate more quickly; therefore maximizing your fat loss. 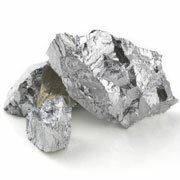 This mineral is a supporting ingredient that works indirectly to support fat loss. Numerous studies have shown it does this by helping to regulate blood sugar levels and therefore helps control insulin release. When your sugar levels get too high your body releases the hormone insulin to bring levels back down. Unfortunately by doing so it also maximizes your body’s fat storage because you absorb more fat from your food than you would want to. By supplementing with Chromium you help regulate blood sugar levels meaning your body’s demand for insulin is less and therefore insulin levels decrease. Ultimately you will gain less fat overall which is what you want. An essential vitamin which has been linked to improving your immune system and overall health. From a fat burning perspective it helps speed up your body’s metabolic rate and increases energy levels. Evidence shows that it helps the body to convert food into energy whilst burning excess fat. Research has shown that B12 is used by the body for energetic and metabolic reactions in your body. It helps break down fats and proteins in the food you eat to be used as energy. By having a healthy amount of B vitamins in your system, it gives your body solid support for keeping you energized throughout the day whilst giving your metabolism an extra boost. An essential mineral that helps your body to process carbohydrate, fat and proteins into the fuel your body needs for energy. Keeping energy levels high is important if you are training hard to lose belly fat and get into shape. Take one capsule 4 times a day with water. It is recommended that you take the first capsule immediately upon waking up (8am). The second you take between breakfast and lunch (11am). The third you take an hour after lunch (2pm) and then the final serving about 1 hour before you eat dinner (6pm). The most effective fat burners use 4 servings a day. This is the most effective dosage schedule for maximum fat loss. Remember when you take one serving of a fat burner it only lasts a few hours. As soon as it wears off your body returns to burning fat at a normal rate. 4 times a day allows you to burn fat around the clock and maximize your results. 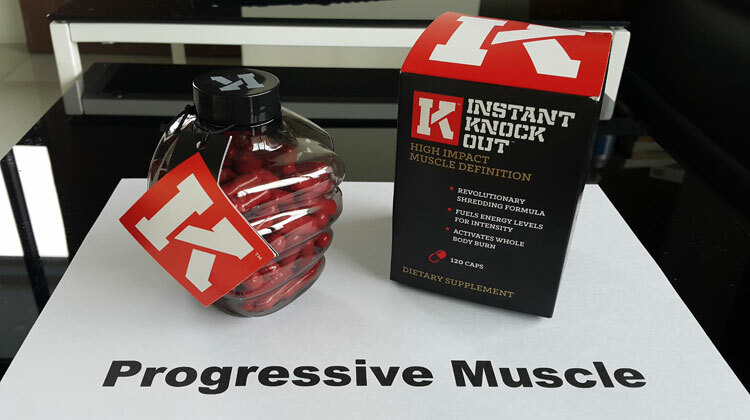 All the ingredients in Instant Knockout are completely natural and have undergone rigorous testing so you won’t experience any major side effects. 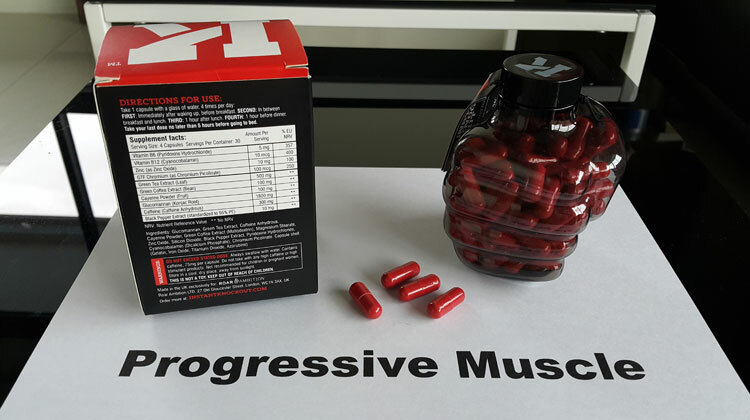 We have not heard of any reports and we have not experience any ill effects ourselves from taking this fat burner. Although this product does contain caffeine and it maybe a concern for those sensitive to caffeine. But at only 75mg per capsule there is really no issue. However it is recommended that you take your last dose no later than 5 hours before going to bed to avoid any potential sleep problems. This is by far the best fat burner formula we have seen. It contains the best nutrients currently available and they are all backed up by clinical studies. Every ingredient serves a purpose, there is no filler here. This is essentially a process that makes your body burn more calories than normal even when you are at rest. 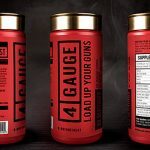 Green tea, cayenne pepper and green coffee bean are the most powerful natural thermogenic ingredients available and they are all in Instant Knockout. The first is that it allows you to increase your power output in the gym meaning you burn more calories. The second is that it helps maintain your energy levels when you are on a calorie restrictive diet. The stimulant caffeine is the key here and it is dosed perfectly. Containing the fibrous root Glucomannan this natural nutrient is proven to reduce any hunger cravings you might have. This helps you to avoid snacking between meals or cheating on a calorie restrictive diet, meaning you get the results you want more easily and painlessly. Every ingredient and every quantity of ingredient is listed on the label. This is great because you know exactly what you are putting into your body and how effective the formula will be overall. Proprietary blends are best avoided because of unwanted side effects and causing potential harm to your body. We have double checked all the ingredients and customer feedback. 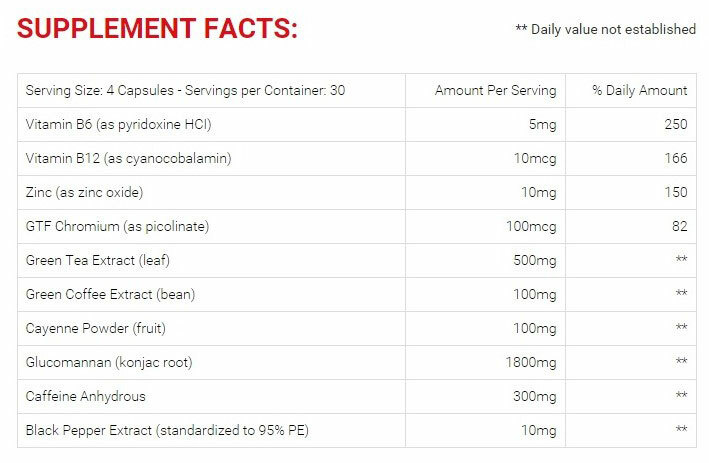 These are safe natural ingredients that have all gone through exhaustive testing, the dosages are all safe too. We have found no reports of any ill-effects and in our own testing have not had any issues. 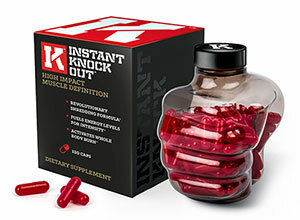 Instant Knockout comes with a full 90 day money back guarantee on the 3 box deal. This shows how much confidence Roar Ambition has in their products. If you don’t get the results you want within 90 days then send back your empty bottles for a full refund. 4 servings a day is the optimal way to maximize your fat burning. By giving your body a constant supply of nutrients throughout the day you are in fat burning mode longer and therefore see faster, more effective results. At $59 you will find it is not the cheapest fat burner out there. But it is the most effective and it has the highest quality ingredients available so realistically it is going to cost more. Fortunately they do a 3 bottle deal that includes a free bottle effectively bringing the price down to $46. It would be great to buy it from a big retailer like Amazon, but this is only available from their official website: https://www.instantknockout.com/. Remembering to take a pill 4 times a day can be frustrating at first, but you should soon get into the habit. Remember that this serving schedule is going to give you that ripped physique more quickly. What are people saying about Instant Knockout? We have found absolutely tons of positive feedback across the internet. 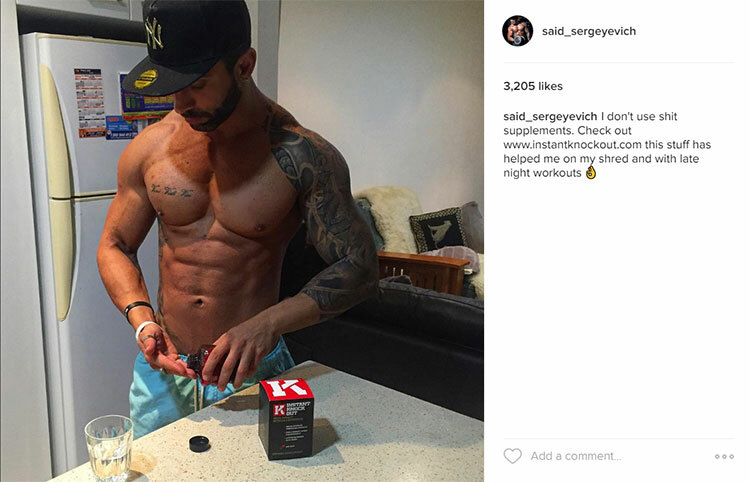 There are a huge number of success stories on forums, supplement websites and in gyms near you. Zyzz’s brother Chestbrah is a big fan! As you can see there are a lot of positive results. 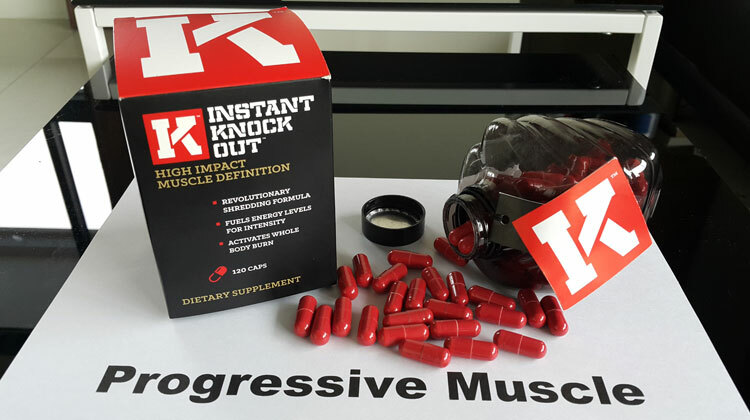 Instant Knockout was originally developed to help mixed martial arts (MMA) fighters and pro boxers cut weight for a fight. 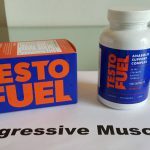 It was so effective at causing professional athletes to drop weight without muscle loss that it was finally rolled out to the public in September 2014. Diego Sanchez trains under Greg Jackson at Jackson Wink MMA Academy. Greg Jackson is one of the most successful MMA trainers ever and has coached UFC light heavyweight champion Jon Jones and UFC Welterweight Champion Georges St-Pierre to victory numerous times. Greg recommends Instant Knockout to all of the fighters in his camp. He believes it is the safest and quickest method for losing fat. This is a very impressive fat burner with some really impressive results, it has helped a lot of people reach their fitness goals and lose the fat. We must point out however that it is only a part of the story. It’s important that you eat a healthy diet and take regular exercise to maximize your results. Roar Ambition is one of the top supplement companies that are leading the way when it comes to sports supplement transparency (i.e. no proprietary blends) and high quality product manufacturing. It’s good to know that all their products are manufactured in cGMP approved facilities in both the USA and UK. 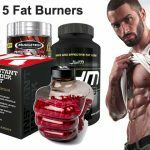 If you are looking for the most effective fat burner on the market, then there really is no better recommendation than Instant Knockout. It has helped thousands of people to reach their fat loss goals and get the body they want. It will help you shed fat, suppresses your appetite, boost your energy and burn more calories even while you rest. Coupled with a solid diet and exercise you will soon see a shredded physique looking back at you in the mirror.